If you are considering having a roller garage door installed, you will quickly come to realise that there are hundreds of companies on the internet claiming they have the best roller shutter garage door either in the UK or the world. One of the main problems initially is that they all look very similar, with the horizontal lines and a lot of the same colours showing on the images you will inevitably scan through. So, how do you decide on which roller door is best for you? The first thing to realise is that the cheapest roller doors are all cheap for a reason, and that reason is nearly always cheap components, which are more often than not, not up to the job. Therefore, you would be investing in a door that has components, most of which cannot be seen, working together on a door which will typically not last very long before it has failures in various parts. There is a significant number of moving parts in a roller shutter door, and they all have a reasonable amount of stress on them during operation. 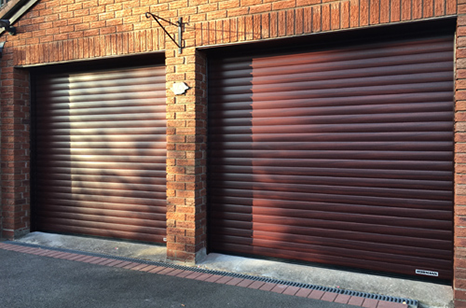 Most roller ‘garage doors’ in the UK are manufactured using a 77mm double-skinned, foam-filled aluminium slat, and that slat is very similar on many different brand names. There are in fact some key differences, and these will regard the general aluminium quality and thickness, as well as in the quality of the paint and thickness. Thinner gauge aluminium slats will dent easier, and maybe also wear quicker in the sections that connect each slat. Thinner, lower quality paint will scratch easier and maybe also fade in the sunlight after a while. Deflection of the slats on larger doors can also occur, making the door curtain look very second hand, even if they slats are new are if they are too thin for the size. 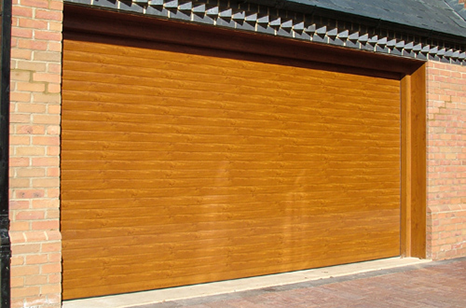 Another key feature used for all electric driven roller doors is the motor drive. Cheap barrel motors will not last too long and may offer bad performance, proving to be slow in operation. Higher quality motors are quieter, smoother and have at least a 5 year guarantee, whilst perhaps also being a fair bit quicker in their closing and opening cycle. Most roller doors have the motor drive internally hidden inside the barrel which the curtain rolls around, but some models have external motors for easier manual override and access, whilst also using different technology for the safety stop mechanism. The quality of the remote controls and associated control equipment will also be a key factor when choosing, as well as security where the coding for the remote signal can be encoded to ensure it cannot be cloned. Accessories such as LED lighting, alarms and app control can all be catered for in various models. Getting very popular now are various apps controlling your door through a wi-fi and central radio control home automation system. Somfy are leading the way with this technology embracing as many products as possible through one application on your mobile or tablet. 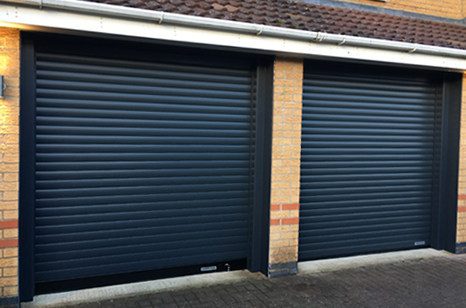 Security is one of the most requested features when buying a new garage door, however one of the most shocking things to realise is how easy some roller doors can be simply lifted with a little jolt to break or bend the lifting straps on the barrel and curtain. Of course, many higher quality roller doors use various methods of security where the curtain is locked down when closed. This may be a larger barrel and extruded lifting straps, or patented devices holding down the curtain when fully unravelled in the closed position. The Seceuroglide Excel is a leading option for a security roller door. Some models will have a security rating in the form of a certificate to show the door has been tested and approved by a recognised third party test facility. These doors are either ‘Secured by Design’ or have a European rating certification. Choice of modern colours, woodgrain laminates and other finishes are important on roller doors when the design is so limited. A carefully chosen colour can enhance a property, as well as making the simple linear design work for and not against the visual appearance. There are however, plenty of colours to choose from – it is possible to have a door almost any colour at all and there are several charts to choose from, with cross references to colour codes from other products on your property. Make sure the guides and fascia are either co-ordinated or contrasted as suits the property. This is all possible. When choosing a new roller garage door, perhaps the best thing to do is to actually see a few in operation. The Garage Door Centre has six working roller doors in our Northamptonshire showroom, and we can demonstrate the subtle differences for real in each one to you. Come along and see the best roller garage doors available – we have a model to suit every budget.